The Financial Samurai personal finance blog posted an argument against angel investing, based in part on the writer’s own experience with a seemingly successful investment that really wasn’t so great, upon reflection. 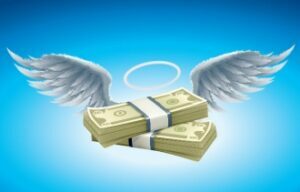 Toward the end of the post, the author says that if you do angel investing, you should devote no more than 5-10% of your funds towards it, and don’t expect anything good to come of it. But who is really advocating for devoting half or more of your nest egg to illiquid, speculative investments, even if you have a lot of financial leeway? There are legitimate reasons for wealthy individuals to want to participate in angel investing, like the satisfaction of helping a founder with a promising idea to realize a dream. As long as these investors aren’t blowing their whole fortune on it, what is the harm? One of the sections of the post, entitled “Your stake will be diluted away,” explains the harsh effects of liquidation preferences negotiated by VC investors who come in after the angels. But the example used is cherry-picked in two ways: (1) the VC has a 2X liquidation preference, which is quite investor-friendly and not universal, and (2) the company is sold for exactly 2X the VC’s investment. But that is only one possible outcome; if the sale price is 20X the VC’s investment, then the angel investor would be doing just fine even though the VC is doing somewhat better. The way to think of a liquidation preference is as downside protection for the VC investor. From the angel’s perspective, the return will be little or nothing if the company increases slightly in value, but in any event, the financial goal with these investments is to occasionally strike gold, not eke out a 5% annual return. The post also notes in the same section that your stake is diluted by 20% on average with each fundraising round. But the fact that your percentage interest in the company is going down doesn’t mean the value of your stake is going down. If you were a 5% owner of Apple Computer when it was incorporated and made no further purchases or sales of the stock, your stake is now diluted to far less than 1% of the company today, but needless to say, you are now a very wealthy person. Dilution is only a concern when there are “down rounds,” when the company is selling shares at a lower valuation than previous fundraising rounds. And even in that case, it may not be a bad thing to suffer dilution if the alternative is that the company can’t raise further capital and has to cease operations, at which point the amount of your percentage interest is an academic point. In any event, I know I’m sounding like a cheerleader for this sort of speculative investing (not a very lawyerly approach), but I’m certainly not arguing that it’s superior to a more plain vanilla investing approach. However, if (1) you’re fortunate to have a lot to invest, (2) you are presented with an idea that’s personally appealing to you for one reason or another, and (3) you would invest an amount of money that you can easily afford to lose, then I don’t see a reason to dissuade you.